Expedia can help you save heaps with an Acchal vacation package. With all that extra cash in the bank, you might even like to book a few additional nights. There's no need to click around a whole bunch of websites to secure your travel bookings. With more than 400 partner airlines and 321,000 properties worldwide, our expansive database has got it all. You can postpone your travel reservations with us because we don't charge cancellation fees for almost all of our bookings. Can't wait for your trip to Acchal? Looking for a few pointers about what to see when you're there? That's where we can help! If you're interested in experiencing the local area's history through its buildings, stick Gurudwara Shri Kandh Sahib on your to-do list. Be sure to stop and read any plaques or signs which reveal the intriguing stories behind it. Still have time on your hands? Built to pay homage to one or many gods, temples offer an interesting peek into another religion and culture. Learn about the local belief system as you take in the sacred monument of Achaleshwar Temple. There are presently no Acchal properties on Expedia. 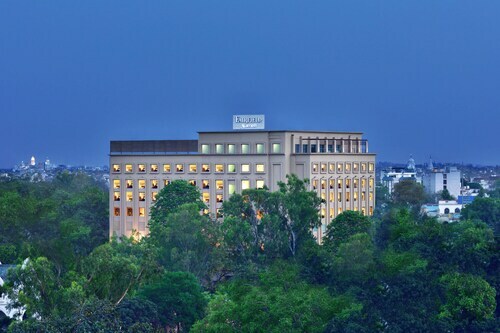 However, Amritsar, located 25 miles (40 km) away, has a range of options on offer. The Ranjits SVAASa Heritage Boutique Haveli, Radisson Blu Hotel Amritsar, Holiday Inn Amritsar Ranjit Avenue, Hyatt Amritsar, Country Inn & Suites By Carlson Amritsar, Ramada Amritsar, Best Western Merrion, MK Hotel, Humble Hotel Amritsar, Golden Tulip Amritsar, Clarks Inn, Amritsar, Avaas Lifestyle Hotel, Park Inn By Radisson Amritsar Airport, Comfort Inn Alstonia, Hotel Narula's Aurrum, Hotel Hong Kong Inn, Hotel CJ International, Hotel PR Residency, Hotel Sawera Grand, Hotel Ritz Plaza, Hotel Akaal Residency, Hotel Sham Villa, Hotel City Castle, Hotel Teg Royal, OYO 1676 Hotel Sukhmani, Hotel Namaskar, Hotel Singh International, OYO 1605 Hotel Axis Inn, OYO 1610 Hotel Star Metro Inn, OYO 8766 Hotel DS Regency, OYO Rooms Shivala Road, Hotel Puri Palace Amritsar, OYO 1752 Hotel God Gift, Hotel Robin, Hotel City Park, Hotel Grace, Hotel City Heart, Hotel Le Golden, Hotel Sapphire, HKJ Residency, Hotel Shiraz Continental, OYO 2042 Hotel New ss Residency, Hotel Basera, Hotel Namaskar Residency, Hotel Pearl Inn & Suites, Hotel Orbion, OYO 1745 Hotel 42, The Fern Residency Amritsar, VITS Park Maple Amritsar, OYO 1462 Hotel KK continental, OYO 1105 Hotel Surya Residency and OYO 1662 Hotel Behl Regency are the best options for a good night's sleep in Amritsar. Booked those plane tickets for your trip to Acchal yet? When you get there, prepare to walk out into Raja Sansi International Airport (ATQ). It's 25 miles (40 km) from the terminal to the downtown area. We were not able to find any hotels near this destination. We found these hotels for you in Punjab. 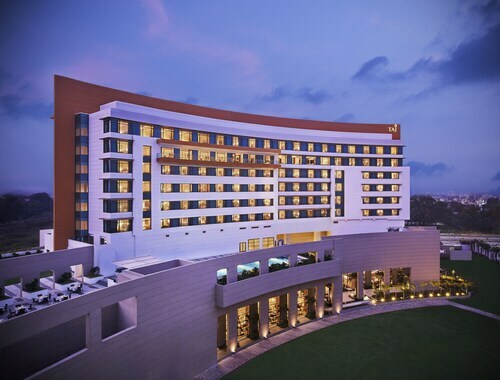 Located in the heart of Amritsar, this luxury hotel is 1.1 mi (1.7 km) from Mall of Amritsar and within 3 mi (5 km) of Hall Bazar and Jallianwala Bagh Monument. Central Sikh Museum and Akal Takht are also within 3 mi (5 km). 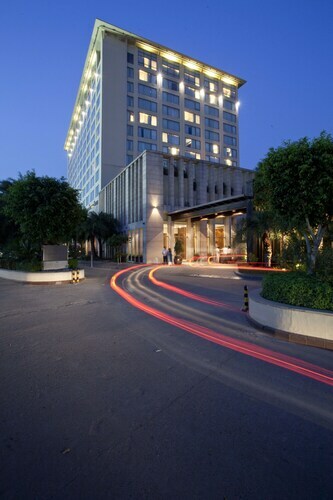 Situated in Ludhiana, this luxury hotel is within a 10-minute walk of MBD Neopolis Mall and Westend Mall. Grand Walk Mall and Punjab Rural Heritage Museum are also within 3 mi (5 km). Located in the heart of Amritsar, this hotel is within 1 mi (2 km) of Partition Museum, Durgiana Temple, and Jallianwala Bagh Monument. Golden Temple and Wagah Border are also within 20 mi (32 km). Located in the heart of Amritsar, this eco-friendly hotel is 2.9 mi (4.6 km) from Golden Temple and 20.3 mi (32.6 km) from Wagah Border. 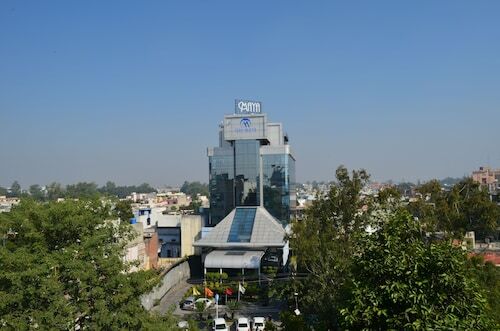 Situated in Zirakpur, this hotel is within 6 mi (10 km) of Elante Mall, ChhatBir Zoo, and CII Convention Centre. Sector 17 and Sukhna Lake are also within 9 mi (15 km). This family-friendly Jalandhar hotel is located in the entertainment district, within 1 mi (2 km) of Guru Govind Singh Stadium, Nikku Park, and Geeta Mandir. Modella Mall and Imam Nasir Mausoleum are also within 3 mi (5 km). Jalandhar City Station is 22 minutes by foot. Sun., 3 Nov. - Tue., 26 Nov.